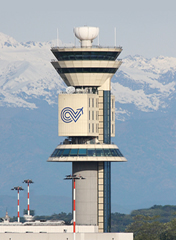 Being the largest airport in Milan, Italy, Malpensa Airport boasts of a wide variety of facilities, each of them functioning differently to meet the different needs of the people going through the airport at any given time. For purposes of customer care and providing help to tourists, there are tourist information facilities within the airport on the ground floor of Arrivals B in Terminal One. This is a place where you can get all the information you may need about the airport and the various services offered therein, about the different flights, and even about the city and how to get around easily. For assistance in communication numerous telephone booths are provided and visitors are thus able to reach friends and family who may be meeting them at the airport or even let them know that they have arrived safely and so on. These telephone booths are actually fully equipped with Braille code which caters for visitors who are visually-impaired. To begin with are the essential medical facilities which are used to cater for medical emergencies and common prescriptions that may need to be refilled urgently. These medical facilities mostly cater for first-aid cases and are located on the first underground floor in Terminal One. There is also another facility offering medical assistance in Terminal Two in the area meant for departures. Both of these facilities are well equipped to deal with any medical emergency. In situations where the emergency situation is too overwhelming for the medical centres at the airport to deal with, the elaborate transport system within the airport is organized in such a way as to ensure that the patient can be transported out of the airport and away to hospital in the shortest time possible. Another facility which caters for the visually-impaired is the lifts, and which are also equipped with Braille code. These lifts are strategically situated for easy access from any part of the airport and they work to facilitate easy movement in every area within the airport. The airport also caters for the physically-challenged by having ramps to facilitate the easy and smooth transition of wheelchairs and also for people who use crutches. Special arrangements can also be made available to these persons, and this process runs more smoothly when the airport is informed beforehand during flight booking of any special needs that need to be met for a particular passenger. In both terminals there are bathroom facilities and parking spaces that have are reserved for the physically-challenged. Baggage safes are available in Arrivals Hall B of T1 tel: +39 (0) 2 5858 0298, it costs €3.50-€4.00 per suitcase. The airport is equipped with wireless Internet access in the Arrivals lounge, Check-in, the Boarding lounge and passenger restaurants and bars. You can purchase access time online following the onscreen instructions when you access the connection.